Happy vs. 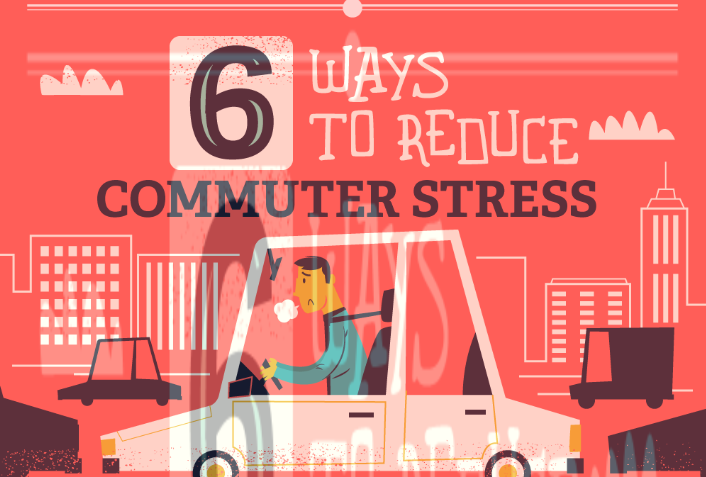 Stressful Commute: Improve Yours Today! #infographic - Your journey to a new career. Does your commute make you want to pull your hair out and scream and you feel like there’s nothing you can ever do about it? Whether it’s unexpected traffic delays, rude drivers who cut you off or other passengers who won’t stop talking, commuters face many stresses on their way to work. Most people feel that their work commute puts a real damper on the rest of their day and that’s no way to start off your morning. If this sounds like you and you are looking for tips to help reduce your commute frustration, this infographic is a MUST read for you! There are several things a person can do to help reduce their stressful commute and they are easy, too! Breathing exercises help relax and are easily done, so is being aware of your posture and body. Try forgetting about the minor things bothering you and disconnect during your commute. Focusing on yourself and letting the little things go can help go a long way. Be courteous to those around you even if they’ve done you wrong; they could have it a lot worse than you know. If you incorporate the tips shown in this inforgraphic, you are more likely to have a better commute which leads to a better day and there really is no harm in trying; it couldn’t get worse. Happy commuting!